Nonconformity tracking: Are your assets performing as expected? Nonconformity tracking is a concept that applies across a wide range of industries, and is a simple function that can super-charge the effectiveness of your enterprise asset management (EAM) program. 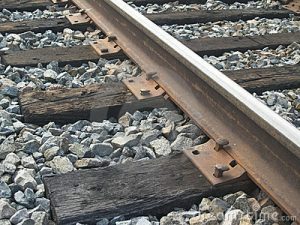 If you detect a nonconformity anywhere in your system—for instance, a rotting stairwell railing, loose joint bars or missing spikes in a section of track, or a cement foundation with evidence of water—this capability allows you to monitor, prioritize, and correct the problem before it can cut into operational efficiency. At Inforum--Infor's premier customer event, held annually--Infor EAM Solution Director Sheila De Coteau explained the crucial role of nonconformity tracking in shedding light on the life cycle of defects in the facilities and equipment that organizations depend on every day. To some extent, De Coteau told the audience, the definition of nonconformity tracking depends on which technical standard you consult. But in the end, the point of the exercise is to answer the simplest question of all: whether physical assets are performing as they should. Once that initial determination is made, an inspection or performance audit can test, for example, a gear against established tolerances or ranges and decide whether a failure is minor, major, or severe. But to trigger that process, the problem has to be flagged. “You have a known situation, and when this item falls out of that known range, it’s considered a defect,” said De Coteau. With nonconformity tracking now built into Infor’s EAM solution and available to field inspectors via mobile devices, maintenance and facility managers across industries and sectors can get better visibility on the condition of their equipment and building components, and make informed decisions on what action, if any, to take. “The defect has its own life cycle,” De Coteau explained. “You track that through a normal EAM methodology. If it’s broken, you fix it.” Now, by tracking a defect’s progress over time—whether it’s a stained ceiling tile due to water leakage, or corrosion in an oil or gas pipeline—organizations can set priorities across large, complex systems and focus first on the problems in greatest need of attention. “Being able to capture that history and capture the degradation, potentially, of the defect is really where we’ve shifted the focus,” said De Coteau. Contact your sales representative or reach out to Infor at 800-260-2640 or eam@infor.com for more information on nonconformity tracking.